A basket filled with classic, gourmet treats is never a bad idea. Look for cheeses, smoked meats, nuts, and crackers. It should also have some sweet elements in it, like cookies or chocolate. Giving them a bottle of champagne is a great idea as well. Go for a quality bottle, to really show your appreciation. Also, see if it comes with any bon-bon’s or chocolate covered fruit for an extra touch. Is your recipient planning on travelling after they’re done at work? If you know where they’re headed, get them a basket with foods and flavor of the destination. Look for wines, cheeses, and other delicacies from the area. 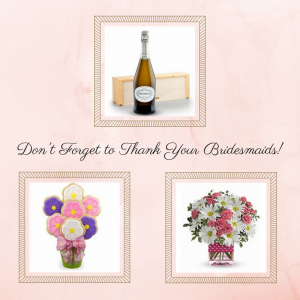 There are plenty of gifts to say thank you to a retiree in your office at BisketBaskets.com. Check out our variety of executive gift baskets that are perfect for many different occasions. 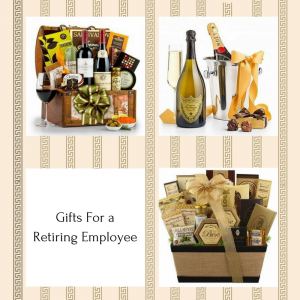 Shop now to find a great sendoff gift for the next office retirement party!